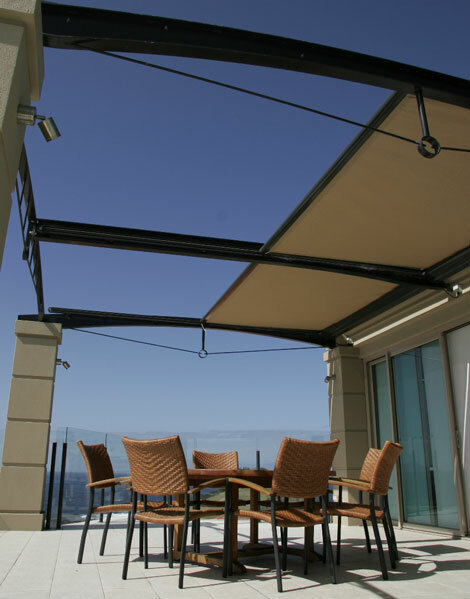 Using German cutting-edge technology and stringent quality assurance offers a wide range of specialized conservatory awnings to deal with every type of commercial or domestic installation. Motorisation is by Somfy and hardware can be powder coated to any RAL colour as specified with extra corrosion protection finishes available as required. This exclusive range includes specialised systems to perform over large areas of glass and can be adapted to angles, peaks and waterfall type glazing surfaces. Find out more about Markilux.